Which boots should you be wearing on the job? Slips, trips and falls are the number one injury on the job site according to OSHA. What are you doing to protect yourself, when working in slushy and icy conditions in the winter months? 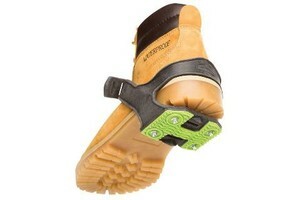 Proper footwear is needed based on the types of work and hazards a worker will be exposed to during the day. 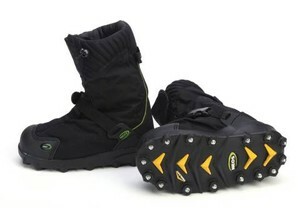 Emergent Safety offers a wide variety of ice traction, to keep your employees from slipping and falling during the winter months. To help, we broke down our ice traction into four separate categories. Our team offers complimentary job analysis where we can help you decide which type of traction is best! The Tingley Orion XT Overshoes’ wide-opening gusset and multiple adjustment points allow the overshoe to slip over work boots while the tungsten carbide studded outsole maintains grip on ice and snowy surfaces. 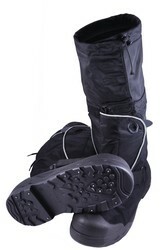 The Voyager STABILicers® Overshoe has a 2.5-mil polyurethane (PU) internal bootie with waterproof membrane and uses (32) replaceable cleats per pair that are embedded in the sole to help maintain traction in the worst winter weather, reducing the risk of slips and falls. Cleat wrench included with each pair. The STABILicers™ Walk provides a lightweight thermoplastic elastomer (TPE) that is easy to pull on and take off, while securely fitting both shoes and boots. 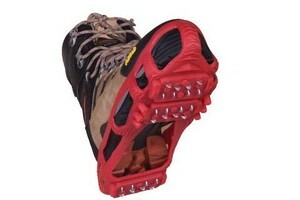 Non-replaceable multi-directional steel cleats bite into ice and snow, allowing wearer to stride naturally through winter’s worst conditions. 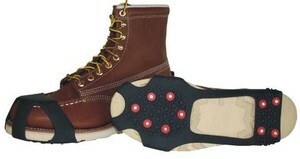 The Tingley Winter Tuff® Ice Traction’s (20) carbon steel studs dig into slippery surfaces to prevent slips and falls. High stretch rubber stays strong and flexible in cold temperatures. The YakTrax® Pro’s Spikeless, patented Skid Lock coil design instantly offers better traction, confidence and safety on packed snow or ice. Walk or run naturally with the same solid grip used on dry surfaces. 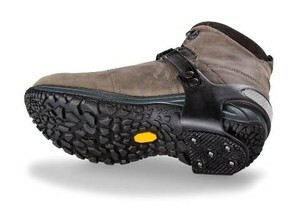 Devisy’s™ Heel Stop is made of freeze-resistant rubber that is flexible in extreme temperatures. Features anti-slip heel stop, Velcro® strap for easy on/off, 3M™ reflective safety strip and spark-resistant, long-lasting tungsten carbide studs. The STABILicers™ Heel provides superior traction in the critical heel zone, and features a fully integrated tension fit system that secures firmly to boots and shoes. Heel-only design is ideal for driving, and is lightweight and extremely durable. 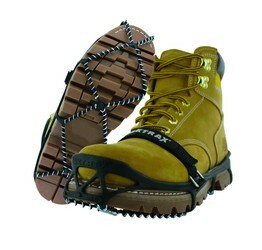 For more information on winter traction and the best footwear solution for your job, call us!